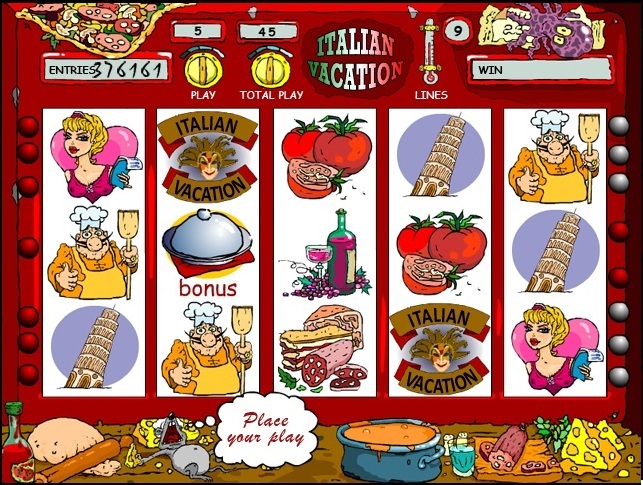 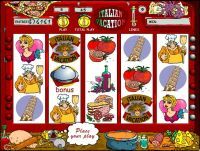 Pizza - 5-reel video slot 15 line with the possibility of doubling the winnings and the bonus game. 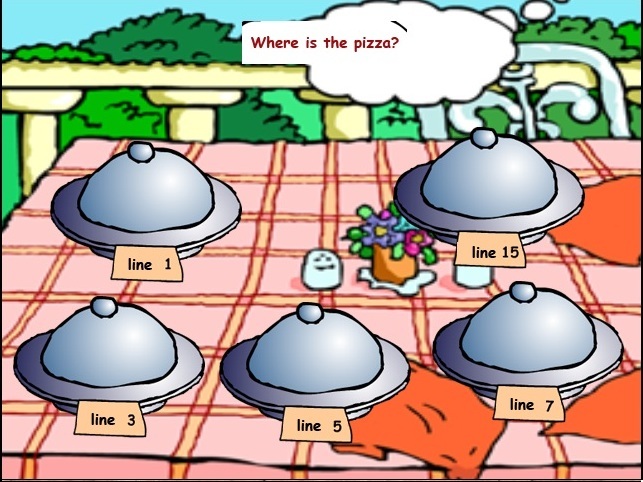 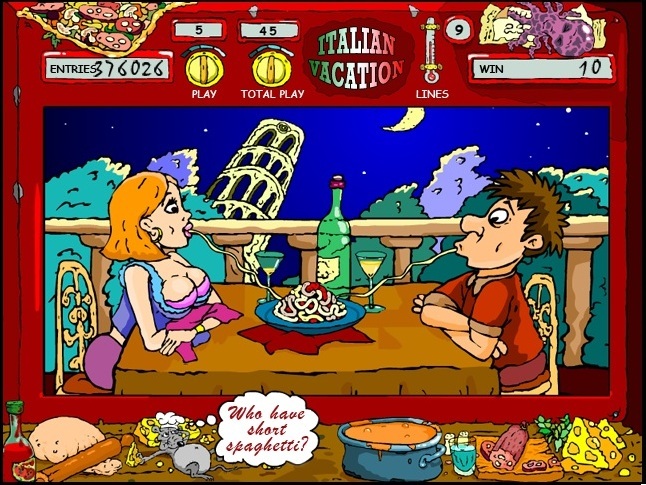 At loss of any winning combination you have the opportunity to double your prize guessing who quickly pull spaghetti. 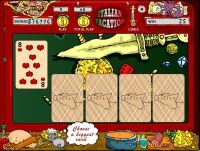 A roll of 3-5-bonus symbols bonus game begins. 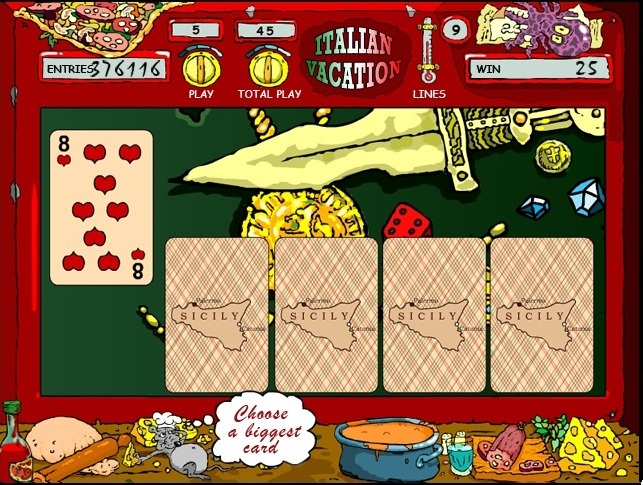 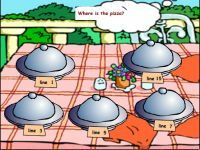 Select the trays of food and increase your winnings.